Nobody can snoop on your browsing now. 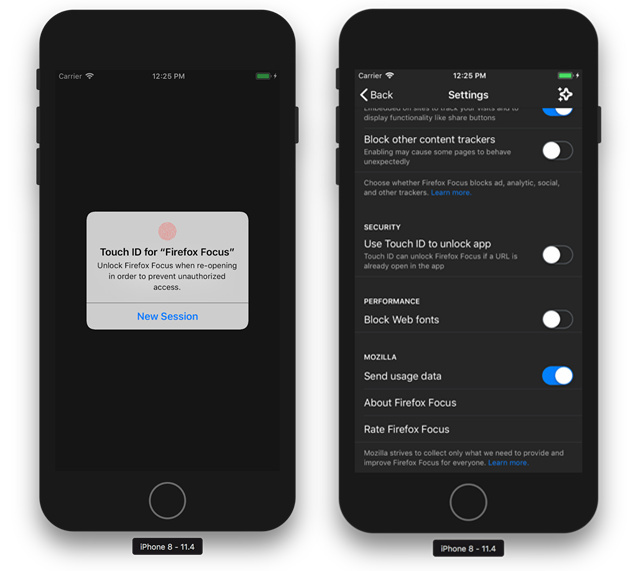 If you use Firefox Focus for its privacy features, you'd love its latest version for iOS. You can now set it up so that it auto-locks when it's relegated to the background. The only way to unlock it if you choose to switch the feature on is by verifying your identity with the biometrics saved on your iPhone. After you download the new version, you'll find a section under Settings that says "Use your Touch/Face ID to unlock app." That way, whatever you browse before you navigated to another app would remain private even if you lend your phone to a friend. While the feature doesn't seem to be available on Android yet, the browser's developers did release something exclusive to Google's platform. When you click on a link in-app and it opens on Focus, the browser now retains the original app's look and feel. Both versions now also come with "Find in Page" to make looking for specific info much easier. And in case you decide to get a BlackBerry KEY2 for its fantastic physical keyboard, then know that you're getting Firefox Focus on the phone as part of the Locker application.